The media has coined the phrase “diversity fatigue” to describe how people are apparently becoming tired of hearing the words “diversity and inclusion” in every aspect of life. However, diversity is vital in a modern, forward-thinking society and particularly in the workplace, so its importance that it shouldn’t be diminished as a result of what some people consider to be overkill. 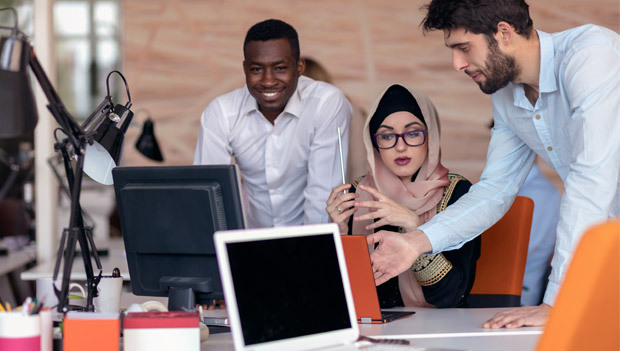 Most employees have been through extensive training to understand the importance of having a diverse workforce, and according to recent studies, diversity is beneficial not only for the individual employee, but also for the company as a whole. Human Resource Executive magazine reported the results of research into diversity among American banking company leaders. The study found that banks with more diversity among their executive team made more for their investors in the long term. Similarly, research by McKinsey and Company revealed that companies in the top quarter for racial, gender and ethnic diversity were more likely to make profits above the national average. Practising diversity and inclusion at meetings held at external venues is equally important, because they are an extension of the workplace. Hence the policy is as relevant at a conference centre or meeting room as it is in the office. Some tips for ensuring inclusion include making sure your chosen site doesn’t discriminate against anyone. Laws are in place in the UK to ensure all public buildings are accessible to disabled people, so look for those who go the extra mile in terms of accessibility, to make all delegates feel welcome and comfortable. You can check calendars to find out any dates to avoid, so that you’re not arranging to meet during employees’ religious holidays. A little research online can help you to do this. When enlisting speakers, make sure you have representative speakers from all walks of life, who will present different points of view. In terms of the content of the meeting, create an environment that suits different learning styles. Always find out before a meeting what the delegates will require to participate fully, such as an Association of Sign Language interpreter, or seating that is suitable for attendees who use a mobility device. In terms of refreshments at meetings, ensure there is a choice of food to suit everyone’s dietary requirements whether they are vegan, vegetarian or have food allergies. Make sure all the food is labelled appropriately. Ensure the images used in your marketing materials represent people of different ethnicities, genders, age groups and visible abilities. Just about everyone has felt excluded at some point in their life. This can go back to the school playground, when kids were bullied because of their weight, their looks, their income, their clothes, or other factors out of their control. Feelings of exclusion can relate to the young female executive who feels her older male counterparts don’t take her seriously, or the person who has a disability and feels they experience discrimination as a result. You can learn more by simply talking with people including your staff, human resources department and those who run diversity training courses. It’s very easy to understand why everyone wants to be included in all the activities at conferences – and how painful and damaging it can be to the emotional well-being of delegates who feel excluded. Companies must be welcoming in all that they do, as we live in a global society in which everyone should matter. When you’re looking for the best venue for your meeting or event, where everything has been carefully considered, &Meetings can help! To book meeting rooms in London, give us a call on 0800 073 0499.